It's Friday (YAY! 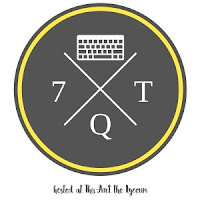 ), so it must be time for Seven Quick Takes, hosted by Kelly at This Ain't the Lyceum. Since I "don't work during the summer", Sister asked me if I would be able to help with Vacation Bible School this week. I, along with another lady, was in charge of getting the snacks together and getting them to the kids. It's been a great week! The program that we're using has everything: activities, stories, crafts, music, and snacks that are all centered around our theme, Apparitions of Mary. 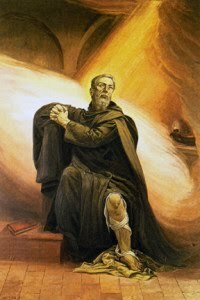 Since every group but one has been to the story room before snacks, I had to tell them about the "Apparition of the Day". By Wed., I realized that I need to do a quick read the night before to make sure I know what I'm talking about! Monday's Apparition was Lourdes, which some of the kids thought was "Lord". (Southern accent!) When we were planning the snacks, one of the activities looked really cool: a little bit of powdered pudding, a little bit of milk, and a drop or 2 of blue food coloring, all in a ziploc bag. When the kids squished the bag to mix it all up, the "water" (blue food coloring) came to the "top of the ground". It looked good on paper! What we should have done was make the pudding ahead of time, put a little bit in each bag and put a drop of food coloring in between the spoonfuls of pudding. Then when they squished the bag it would turn blue. The other snack we had was cheese & crackers in the shape of a decade of the Rosary. 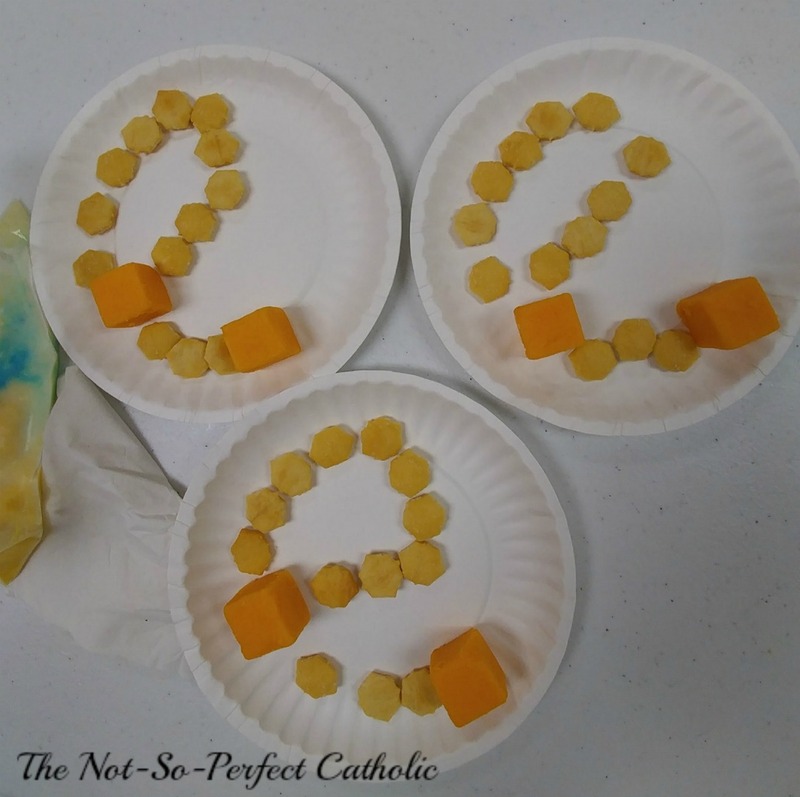 I was amazed at how many kids had no idea what a Rosary is! No wonder we're losing people! I wasn't there on Tues. due to a couple of previously made appointments, but it was "Fatima Day". The kids at least had heard of her since our parish is Our Lady of Fatima. 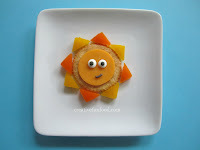 For snack, we found (on Pinterest) some cute crackers & cheese put together to look like a sun. No one took a picture of the finished product, but I asked some of the kids how it went & they said they really liked it. Wednesday was "Our Lady of Guadalupe Day". 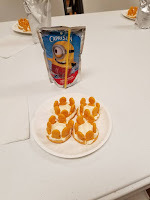 We made sombreros using round crackers, canned cheese (for decoration), and a grape in the middle. We also made a Juan Diego with a tilma using a pretzel rod & a fruit roll up. Thursday was "Our Lady of Knock Day". Snack was a crown using round crackers, cream cheese and goldfish. Our original plan for Thursday was to let the kids put the crowns together themselves, but we decided that some would just want to eat the ingredients instead of getting the full effect of the crown, so 4 of us got them all ready. We had a few kids who said they didn't like cream cheese, so we asked them to try 1 little bite. Some ended up liking it; the ones who didn't were given crackers & goldfish. If I had to do this over, I would use a cookie and frosting, then use the graham cracker goldfish. 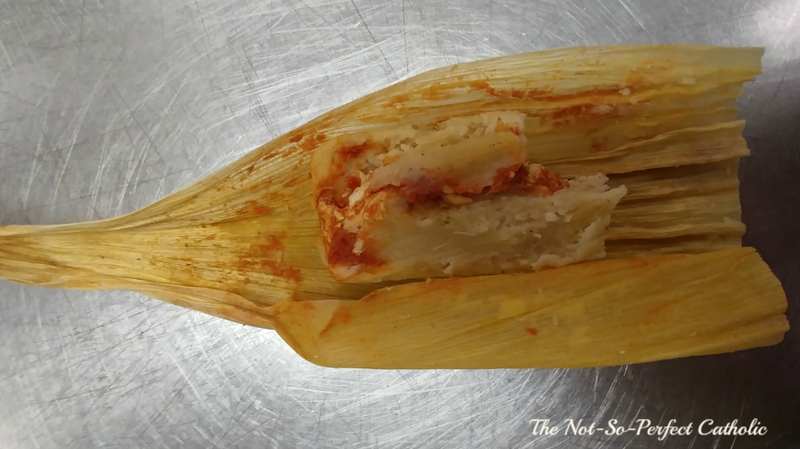 1 of the women brought some tamales to share. Oh...MY, it was good! This was definitely one of the perks to being Catholic: Having a Hispanic sister bring tamales! AH....Friday at last! "Our Lady of Mt. Carmel Day"! We made scapulars out of brownies, frosting, pretzel sticks for the crosses, and twizzlers for the string that attaches them. 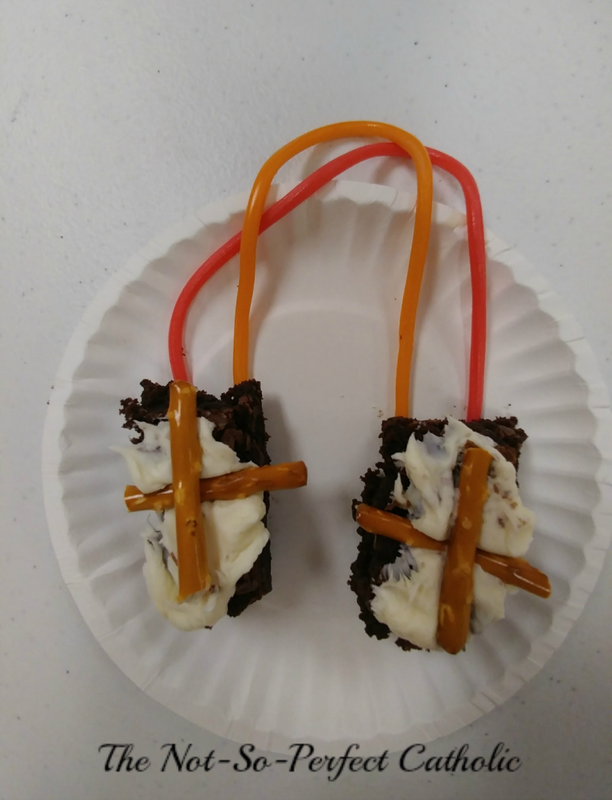 One of the ladies made the brownies on Wed. before we left for the day. Some of the kids who weren't going to be there on Friday were a bit disappointed. Our music director is a young guy who is just fantastic. He's so talented, and has the talent of making music fun for everybody, no matter what your age. I would have loved to have shown you a clip of the kids, but apparently that's frowned upon! How does this compare with Vacation Bible School at your church? Do you, or have you ever helped? This sounds lovely. This was the first year in a while that I didn't volunteer at VBS. Miss it, but don't miss the sensory overload and bone-weary exhaustion. 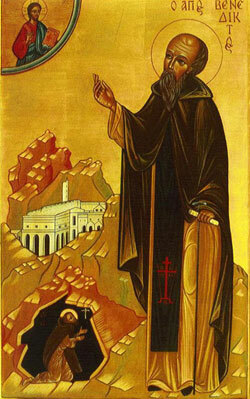 LOVE the idea of 5 days of apparitions. Happy to see it when parishes go the extra mile to make VBS more Catholic.